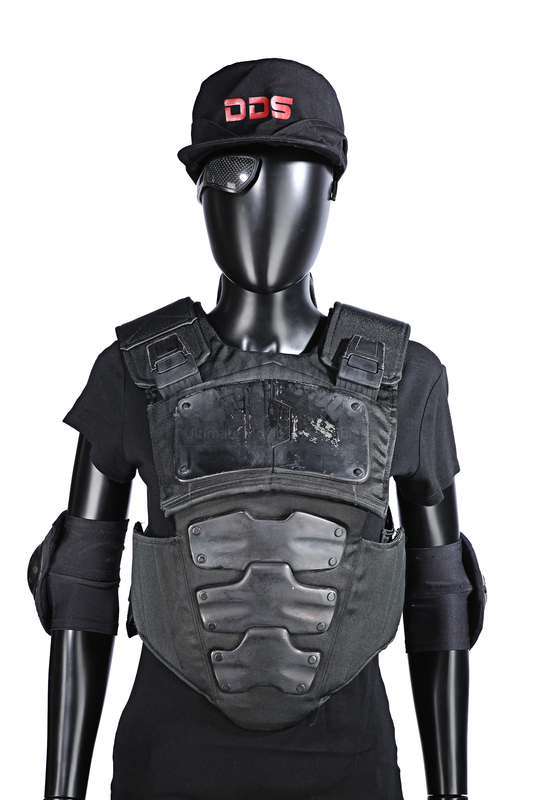 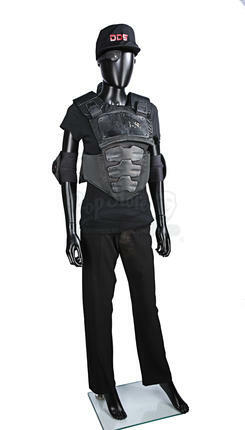 A DDS costume worn by Major Eden Sinclair (Rhona Mitra) in Neil Marshall’s 2008 dystopian action film, Doomsday. After a virus is unleashed in Scotland, a wall is raised to prevent it spreading into England. 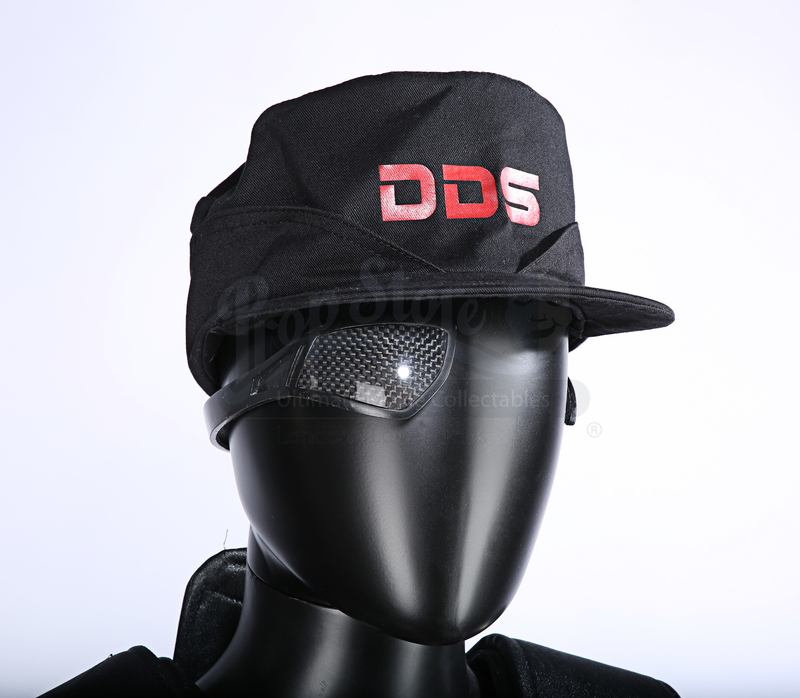 Years later, as a new epidemic wreaks havoc throughout London and a new quarantine is raised, it’s up to DDS agent Eden Sinclair (Rhona Mitra) and a team of scientists to head over the wall to try and find the cure. 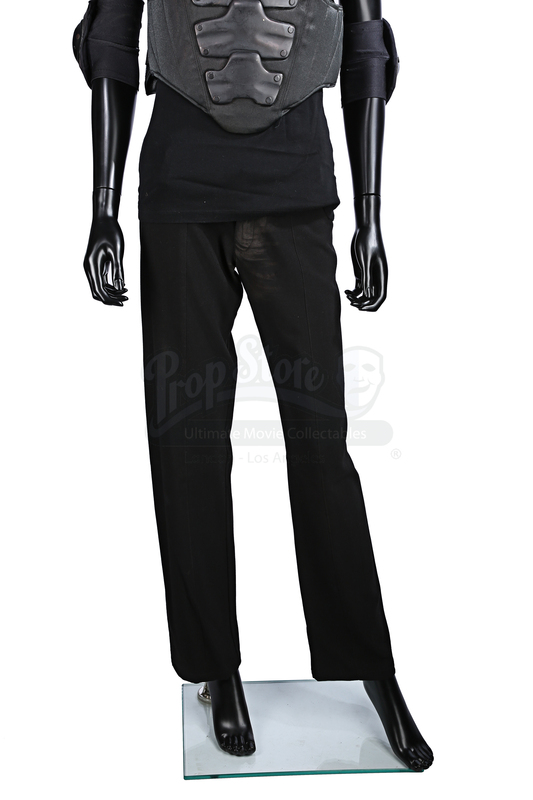 This costume can be seen being worn by Eden when she and her colleague attempt to infiltrate a slave trader’s boat at the beginning of the film. 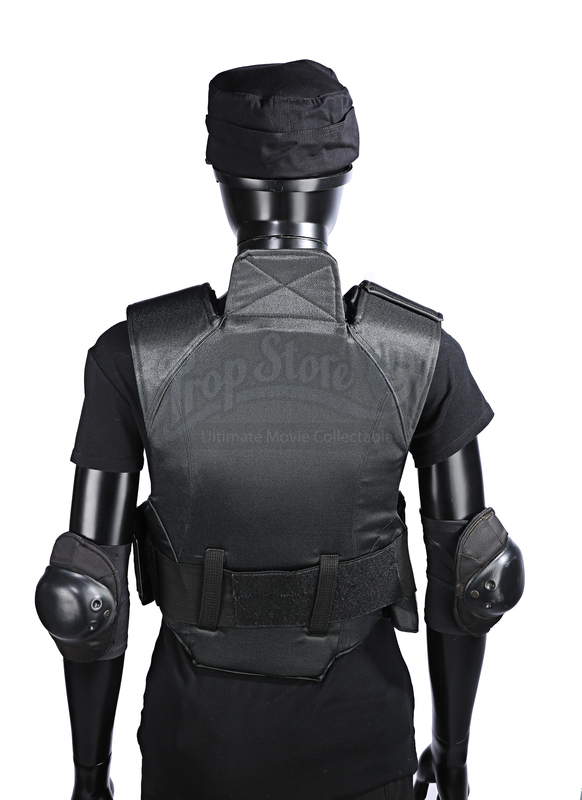 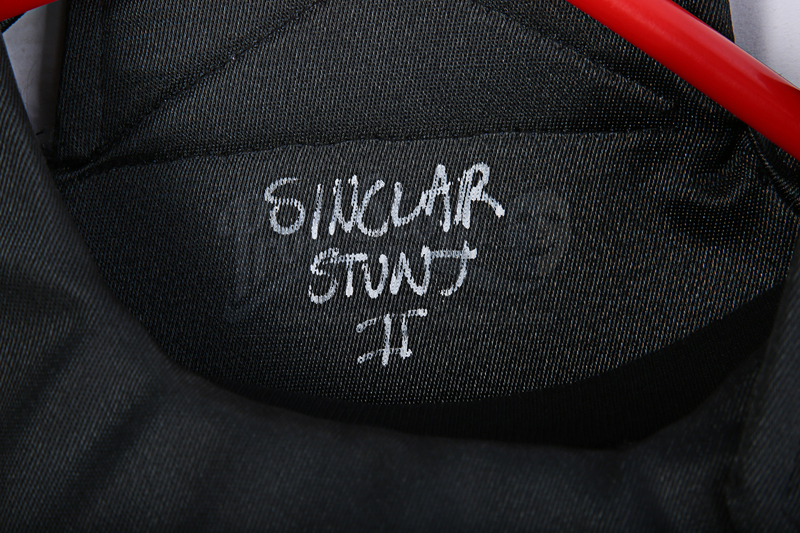 The costume consists of black t-shirt, black trousers (labelled ‘Sinclair Stunt’), elbow pads, body armour (labelled Sinclair Stunt II), baseball style cap and plastic wrap-around eye patch. 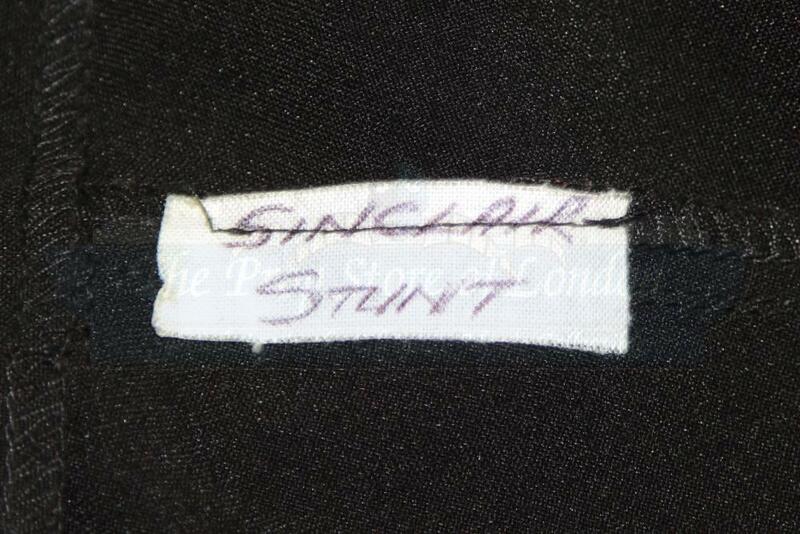 The labelling of ‘stunt’ and not ‘stunt dbl’ may denote Rhona Mitra wearing the costume whilst performing a stunt, though this cannot be confirmed. 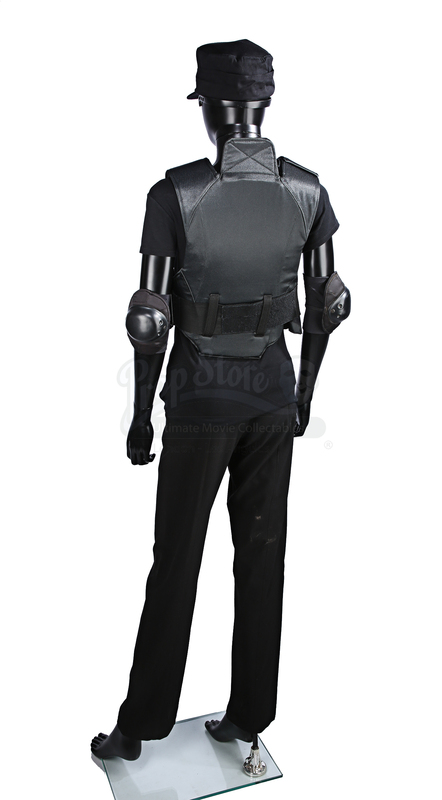 Materials: Man-Made Woven Fibres, Plastic, Rubber.